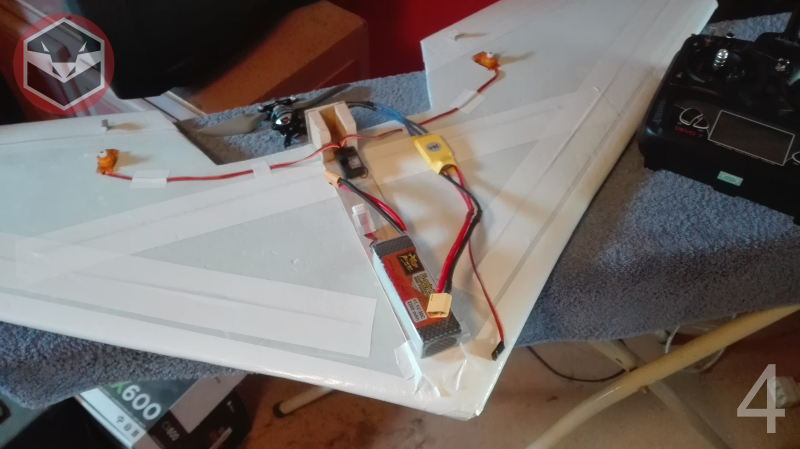 Budget-scratchbuilt a wing WITHOUT prior RC build experience! Hello folks! I'm glad to let you all know I have this lovely project in the making. I don't have any experience in physical RC aircraft building. I always flew crappy toy planes, helicopters and drones before that, and it was getting boring. I grew tired of buying those underpowered, unnatural flying toy thingies. 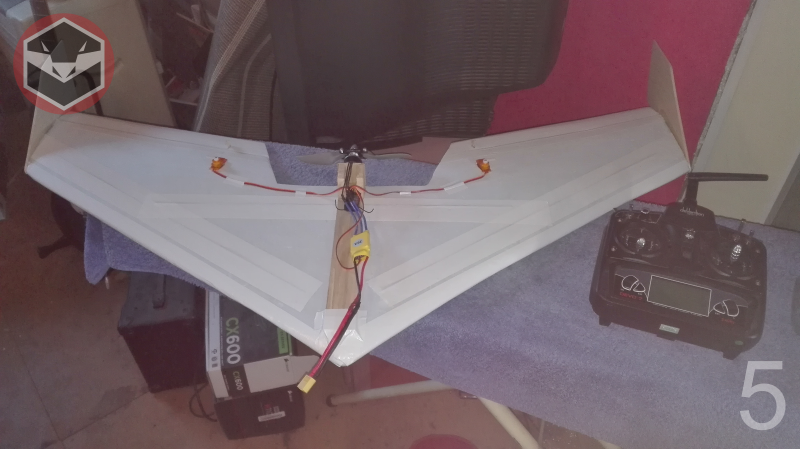 the unrelenting power of Brushless motors, but I still had to take it to a next step: Build my own RC aircraft! 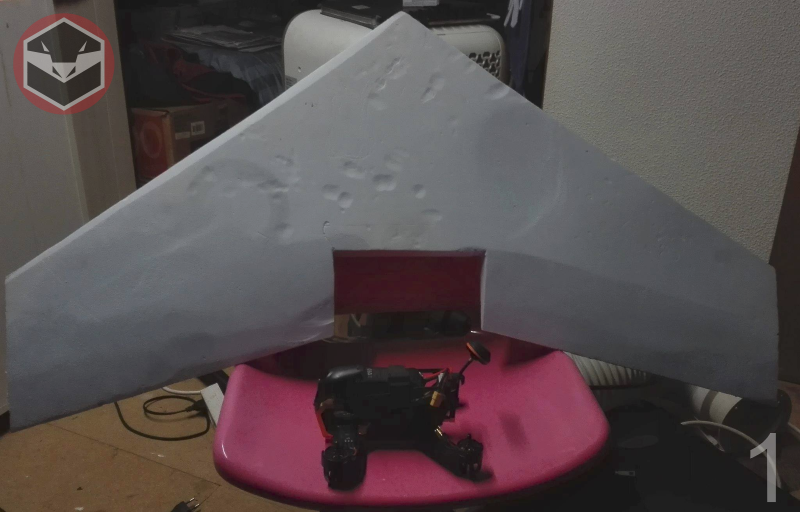 I decided to start building a fixed wing out of foam myself and worry about the implications later. I randomly just decided to do this during late fall 2016 somewhere at a friend of mine. He had a warehouse full of foam panels ready to be thrown in the trash, but I had other plans. I just picked up a panel and started building right away. It's safe to say some minor underestimation was on my behalf. foam material which clearly was a pain to work with. but that was also partially because the sanding machine clearly wasn't meant for this purpose. so thank god I had a respirator at my disposal. to follow along the build process. 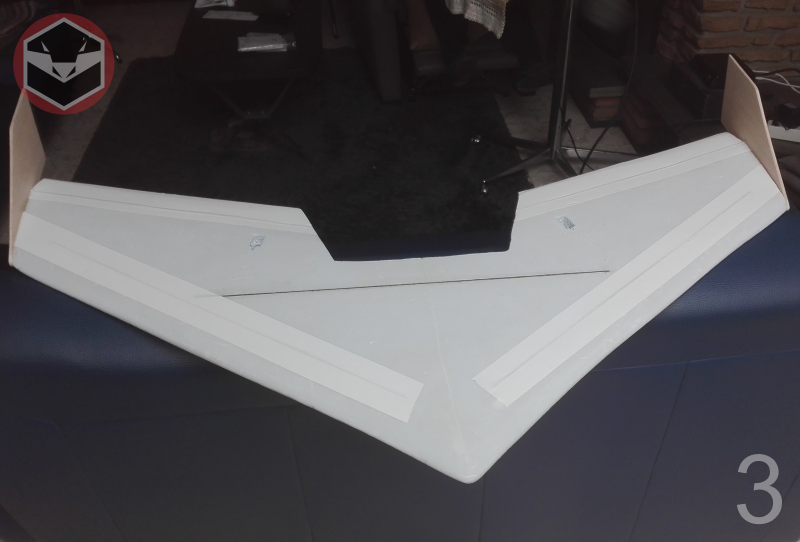 I started by drawing a backswept wing design on a sheet of light blue insulation foam. No, I did not consult any designs on the internet for that. I just whipped that up out of my head. 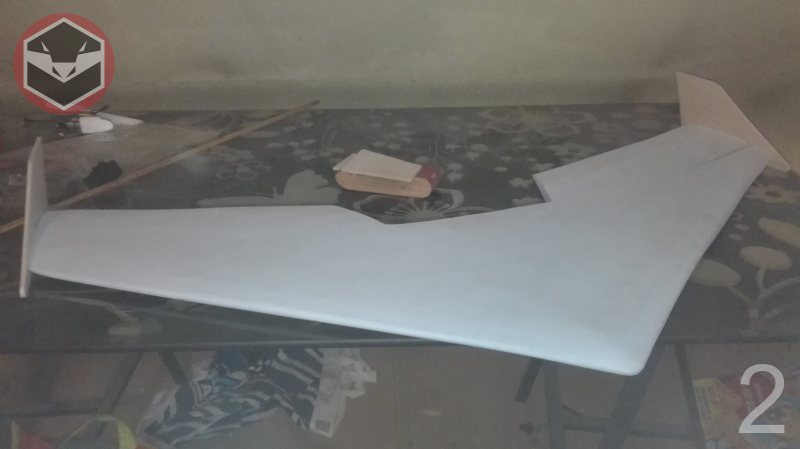 Here you can see the rough design cut out with surface curved before the trailing edge. Have this Walkera F210 for a size comparison. The wing is just about 40 inches in span. The wing now has been properly sanded into an aerodynamic airframe. No fancy building techniques other than sanding. I took my wing back to my grandpa to strengthen the wing. Prior to that I had a long and hard time choosing the right material, but I finally settled on carbon fiber flat rods. tape to keep an aerodynamic profile. then I cut out the trailing edge about 2-3 inches to make elevons out of. lastly we firmly glued and taped the stabilizers in place. Here were the electronics made together. took a bit of soldering but against all my expectations, it works! It was even easier than I expected in the first place. I really didn't think it would be this easy. At first the motor didn't work, but after some random tinkering I got the motor and servos to work! It wasn't easy to program the TX because the screen looks like a digital clock instead of having a pixel screen. Finally I had to come back once more to my grandpa to mount the motor in place. I didn't really think that part through, but we did the job with 2 pieces of thick balsa wood and a firewall piece. All that's left now is to mount the ESC in place and have some straps to keep the battery in place. for helping me out with the Electronics. Shes a great looking wing, Rik! Hope to see it flying soon! Looking good. May you enjoy clear skies, calm weather and many happy landings. Good stuff Rik!!! That wing really does look good I hope she flies as good as she looks! Can't wait to see her in the air! I hope so too, because I didn't really take very close care of precise symmetry.